Our four piece a capella quartets and singing waiters are some of the most popular performers in the London area in their genre, singing opera unacompanied for every variety of event in London and the UK throughout the year. 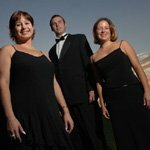 MFL’s stunning and unique a cappella quartets create fantastic entertainment for 10 to 1000 guests for an occasion that your guests will talk about long after. The quartets are made up of some of the best young voices in the UK, recent graduates of the Guildhall School of Music and the Royal Accademy and professional singers hand selected to perform to the highest standard. Mobility and flexibility of the quartets allows them to greet guests as they enter, roam amongst them with a song while they eat and mingle, or enchanting guests with a stunning staged performance. For the smaller more intimate venues our singers are able to perform unamplified and with seamless flexibility, but also perform amplified for venues of 1000 to 2000 or more! Hi Sara, I just wanted to say thank you for helping organise the Opera quartet to perform last night at the ICA. They were extremely professional, polite, accommodating, but above all wonderful singers! Given that they were competing with the conversations of a 200 strong crowd of revellers, they managed to be heard and were appreciated by all. It was a pity that it was only after they had left that the host gave thanks to the singers to rapturous applause. Please pass this thanks on to them from me, the organisers of the event, and the ICA staff who all enjoyed the performance immensely. Have a very Merry Christmas!